It’s evident, as I carry out my work among farmers in South Wales and the South West of England, that the average age is increasing. Farmers are so often in their sixties or well beyond. Some are still enthused and enriched by their way of life and relish the challenge each new day brings. Others are often all too visibly struggling physically and under the weight of an ever more complex and fast changing administrative burden. Sometimes the farm is a very lonely place, with the partner working off the farm and farming neighbours few and far between. Less frequently, it’s a vibrant hub, with several generations working together – they may be family members or paid employees. A mind boggling range of statistics can be interpreted in many different ways, but clearly loneliness is an issue among the over sixties, whether farming or not. And each situation brings its own challenges and risks. So how do we address this and how to define a farmer? Is it the active farmer named on the Basic Payment Scheme form, who is taking the lead? Certainly he or she will have, if not full responsibility, a measure of financial control. But who is making the day to day decisions? It’s likely to be the much younger person I see on my training courses. The keen young individual who can access everything he or she needs to know from the smart phone. And here is the frustration. I’m so often told that youngsters are not interested in taking on a farm holding, or that younger candidates are willing, but they are not encouraged to do so. I’m not sure it is the case that there is a lack of interest. Farming remains an attractive proposition for ambitious young people. Such individuals need incentive, a career path and a measure of authority. So how can capital be more easily transferred, not just from one generation to the next, but sometimes from one business partner to another? How can trust and an undeniable degree of emotional attachment be addressed? There is help to be had and an abundance of routes: partnerships, share farming, tenancies. The farming unions offer wise and experienced counsel. There is accountancy advice to be had, but at a price. One groundbreaking example is that offered by Wales’s Farming Connect. The Welsh Government backed organisation provides a Mentro Venture scheme that acts as a ‘dating agency’ to match new entrants with farmers and landowners looking to step back. The scheme offers an integrated package of training, mentoring, legal and other advice, as well as training. The fact that Farming Connect offers this alongside so many other skill based schemes means that it should be more easily accessed. It helps to address a situation where so many farmers no longer know the accountant by name, let alone that of his or her father before that. How many farmers have a trusted bank manager or enjoy the comfort of a direct line to his or her desk? And how many have a family vet they know by name? Tackling the problem where each party is quietly becoming more and more dissatisfied is so important. It’s uniquely difficult, as well as rewarding, to live and work with adult members of your own family, yet planning regulations as well as economic pressure mean this is so often the case. Divorce and the nature of modern relationships can further complicate. It’s also challenging to live and work with a host of employees from different countries and, as ‘the boss’, to enjoy the camaraderie while retaining authority. In Wales, not only is life enriched with two official languages, but in our ‘Peoples Signals’ meetings there are often four or five different languages. These include English, Welsh, Greek, Bulgarian, Romanian and sometimes German to fill the gaps. 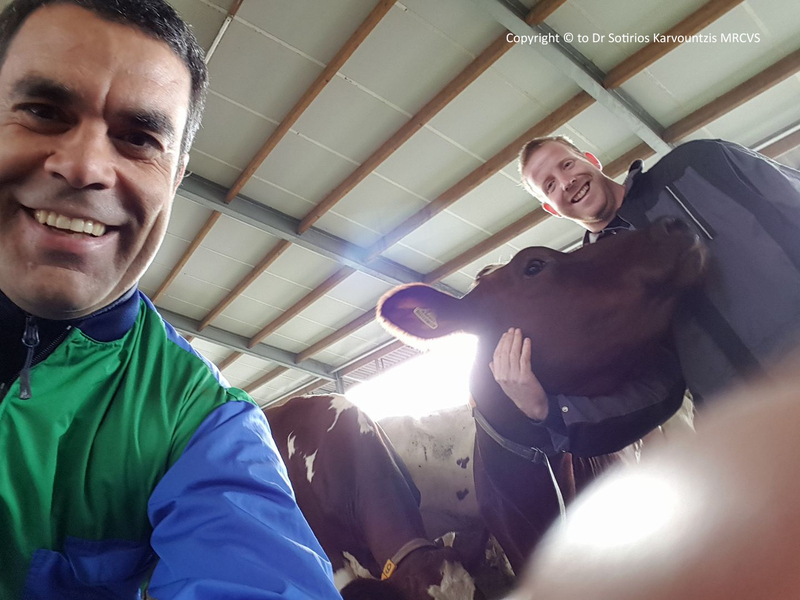 The skills sessions, facilitated by the Welsh Government’s Farming Connect skills development programme, through the training provider, Simply the Best, aims to get everyone involved and enthused, resulting in happier cows and profitable farms. We offer tailor made and competitively priced training and believe labour shortages can be overcome with a highly skilled workforce. We focus on Cattle Hoofcare, Responsible and Safe use of Veterinary Medicines, MilkSure, CowSignals and PeopleSignals training and, shortly, Cattle Artificial Insemination. I have been visiting a family run 700 cow dairy, split over two units, that employs ten farm workers. Most of them come with different languages and customs. The owners would like to maintain their very good lameness and mobility performance in the two units. Currently, mobility score stands at 6% approximately, which is way better than the national average. We meet the whole team every four months and set out targets for the following four months, as well as review performance. Little things like, what time and in how many groups cattle are moved out of the cubicle houses and into the parlour for milking, how often the feed is pushed up in the feed barriers per day and finally who is responsible for what, where, when and how with regard to the foot bath. It makes for a more efficient business, but just as importantly this approach can distance ‘the boss’ from constantly making up rules. And it brings people together in an informal, third party, environment, sometimes alongside a pie and chips, offering a pathway to resolving broader issues. So often they are silently facing similar problems not as easily resolved as trimming a cow’s hoof, but that can lead to the breakdown of the business just surely as lameness will cause the cow to suffer and become unproductive. How easy is it to persuade an elderly parent to ease his or her burden, after a lifetime that only seemed to begin yesterday building up a farm? Why not chat to a contemporary facing similar issues?